BABAL – The Circle Of Confusion Of Tongues, MRR Records 2018 Release date 18 April 2018 on LP, CD and Digital Pre-Order from 20 March 2018. We live in strange times, and strange times call for challenging art that responds to the insecurity, paranoia and dread many of us are feeling as we try to make sense of our queasy political and cultural landscape. Enter BABAL, then, to fulfill this role with an emphatic, sure-footed record that effortlessly captures the weariness of 2018’s uncertainties with a palette of comic-book horror, dissonant guitars, big drums, caustic wit and a healthy dose of Zappa-esque cynicism. The Circle Of Confusion Of Tongues (the album’s title gives you a taste of the surrealness to follow) occupies a brooding, faintly unsettling space undercut with a savage humour that tempers the band’s mocking psychodramas. It often feels as if you’re stuck in a John Carpenter movie or one of those fevered nightmares with a killer clown whose presence you can’t escape. The tone is unnerving; disturbing; scary even. At the same time BABAL’s characteristic macabre comedy is rarely far from the surface – if the world were a more just place, they would surely have written the music to BBC Two’s Inside No 9. Densely textured, sonically rich and frantic with energy, the record’s expansive sound was honed over a year in the studio by the band’s two long-term mainstays, lyricist Karen Langley (vocals) and her ax-toting partner in crime Rob Williams (guitars and synths). Between them they soak up influences like two malevolently grinning sponges, distilling a cinematic sensibility (European arthouse, Hollywood noir) with an agile musicality that encompasses art-rock posturing, Captain Beefheart, punk-funk polyrhythms and the occasional jazz/breakbeat flourish. The affable Williams (aka Ming the mysterious) demonstrates his prog-rock chops with flair; his artfully discordant playing/arranging putting this listener in mind of a Robert Fripp or Bill Nelson in their prime. Williams’ easy virtuosity allows Langley free reign for her dystopian-Alice-in-Wonderland vision, which she executes with abandon. In art as in life, singer Langley is a formidable and very human figure, reminding the more pompous and hubristic among us that we are but “spirits in meat-suits”, all trying to ride the train as best we can without falling off the tracks too often or publicly. Compassionate yet sharp as a tack, she cuts right through the BS with her acerbic commentaries on life, love, class, commerce, and consumerism, frequently adopting the persona of Mimi Vogel, her demonic transatlantic alter-ego (an acid-tongued amalgam of Cruella de Vil and Sunset Boulevard’s Norma Desmond). It’s with her mischievous eye for the absurd that Langley launches into Teeth of The Universe, channeling Broken English-era Marianne Faithfull’s barely-concealed venom to a funked-up Grace Jones backdrop which showcases Williams’ dexterous fretwork and Jon Sharp’s shuffling drum patterns. The singer is at her most messianic on the withering Amanda, a trauma-infused Punch and Judy show from the bleaker side of town. Meanwhile, the jazz-tinged drum and bass of He’s Got The Bends could pass for the opening titles of a John Barry TV crime caper–gone-wrong. The band unleashes their inner Killing Joke on the full-on dark wave of The Crooked Path; while the backbone of the album – Monkey On My Back, The Foot High Guy, Partakers and The Great Overwhelm – proclaim the group’s versatility while affirming the discipline of their craft. Volunteers, with its call-to-arms for artistic justice, is especially strident: ‘We want to work/We wanna get paid/My life’s not a ticket/That I mislaid’. By contrast, the haunting Stolen Breath is a rather tender work, with some pain palpable: ‘I stretched out my hand/It was dead on the table’. Likewise, Skating on the Pond is the most striking and musically austere moment; elegiac and somber with its mournful Bach organ. The essence of BABAL’s existential discontent comes together on the magnificent closing track Blockpave Me Over, with Langley’s potent spoken word a rallying cry to the moment. ‘You are now here!’, she implores, conjuring peak Patti Smith against Williams’ intricate, dazzling orchestration. 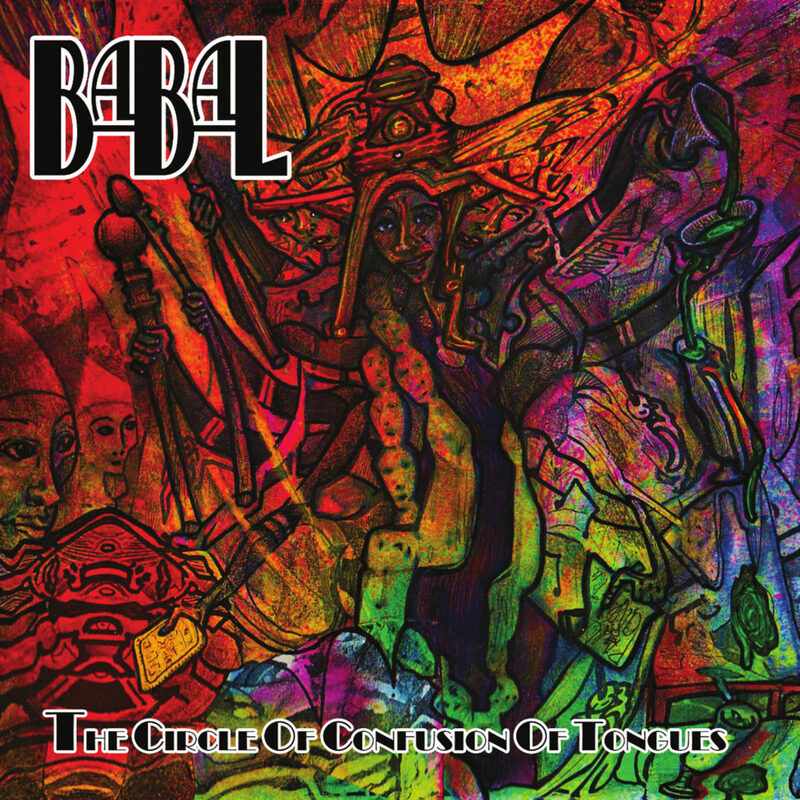 The Circle Of Confusion Of Tongues marks out BABAL as true psych-rock standard bearers in an age that is crying out for something a bit more articulate, a bit more angry. Soundtrack to a new Cold War, anyone?